Appears knowledge, enlightenment and bliss..
Get addicted to reading good books. Read books, share books and encourage others to read books. Literature is the nectar for the society. It can develop and transform any society. Every society is the reflection of the ideas that are shared, discussed and disseminated by its people. The thinking and the ability of people to analyse, reason and conceptualise the future is at the root of the developmental potential of the society. This requires sustained efforts to rejuvenate the practices of reading, discussions and analysis of contemporary phenomenon. 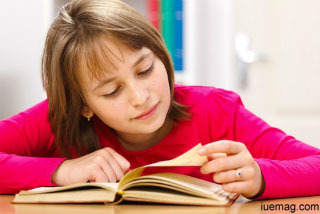 Schools, colleges and libraries need to create their mission to spread good books and reading habits. People should be encouraged to try a few pages of the books, and later they would find it compelling to read the entire book. This will enable them to transform themselves and it will indirectly help the development of the nation. During my childhood I had witnessed a practice of gifting books on all important days. Whenever there was a birthday, or any other occasion, a book would be gifted. Whenever we would go to a new place or visit a fair, we would bring some books as memories. However, over a period of time, the practice has disappeared. Instead of physical books, now e-books are becoming more popular. Time changes and practices also change. However, the core idea must prevail. Have you gifted an e-book to someone? If not, start it. Stories of the people, who have raised the standards of their society by spreading reading habits should be shared and widely circulated. They should become the role models and if a few people follow them, the society can again take the journey of renaissance. This discussion will be incomplete without the mention of Shri Bhagat Singh ji and Shri Purushottam 'Uttam' ji. Shri Bhagat Singh ji was so passionate about reading books that whenever he would get time, he would read books. He would always be engrossed in reading books even in those days when he was sentenced. When the jailor came to him and told him that it was his last time, he replied, "Let me complete this book". Shri Purushottam 'Uttam' ji had created the mission of spreading literature and reading habits among people. Born in 1920, he got his initial education from Sanskrit Guru Shri Shankaranand Saraswati. Later on Guru Kamlakar 'Kamal' guided him towards Hindi lanaguage. Guru Kamal asked him to perform a Yagya (a type of sacrifice) to spread Hindi literature and education and in response, he established Sahitya Sadavart (which literally means to spread literature) in 1944. He started imparting free education in Jaipur. He encouraged people to read books and get education. He started organising literary conferences, Kavya Goshthi (conference of Poets), and started many magazines and newspapers. He was himself a thorough addict of books and learning, and had gained expertise in different languages including Sanskrit, Hindi, Gujarati, Braj, Avadhi and English. His contagious passion towards books spread and proliferated into emergence of many writers, thinkers and scholars. His small initiatives have today converted into institutions and have changed the literature scenario and spread knowledge into thousands of homes. Shri Purushottam 'Uttam' ji continued his pursuit of spreading knowledge, literature and learning till his last breath (31/1/14). Take a resolve to ignite the passion to read, share and disseminate knowledge, learning and wisdom. You have been emailing jokes, photographs and all such stuff; now take a resolve to email at least one good book every month. Any facts, figures or references stated here are made by the author & don't reflect the endorsement of iU at all times unless otherwise drafted by official staff at iU. This article was first published here on 15th May 2014.